After watching one too many bodies float ashore in Europe, many felt powerless and not knowing what to do. Civil society and communities like us thought the UK isn’t doing enough and started asking what can I do? Here’s the thing, YOU can do something, you can do a lot. 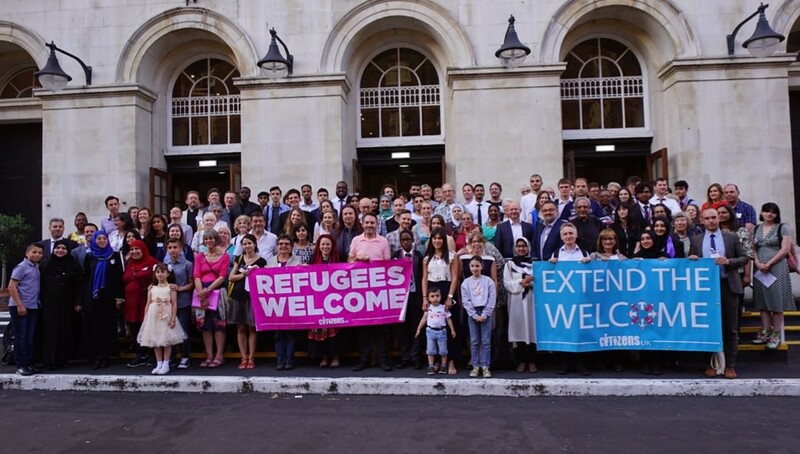 You can join a local Refugees Welcomes group, urge the UK councils and government to take in more refugees by supporting the Extend the Welcome campaign. You can mentor, befriend, donate household goods or prepare a house for arrival. Or you can take more direct action, you can start a community sponsorship group and directly be responsible for the relocation of a refugee family to a safe house in your community. It is not as daunting and difficult as it sounds and with a group of neighbours, your church or even you book club you can make this happen. In Lambeth alone there is three community sponsorship groups and Southwark have one group, more are coming. Add in Lewisham’s active Refugees Welcomes group and a mayoral promise to resettle 100 families and you have a very exciting area of London. Now we are trying to join up even more and cooperate across council lines, we are starting a South East London refugee hub to collaborate and share resources, ideas and to support each other. More volunteers are always welcome whether you want to join the Refugees Welcomes or start a community sponsorship group. So please join us on the 5th of April at 18.30 in All Saints Church, Peckham and find out how you can help. Refugee Welcome groups and community sponsorship groups will be there to share their journey.